Boy has it been long. 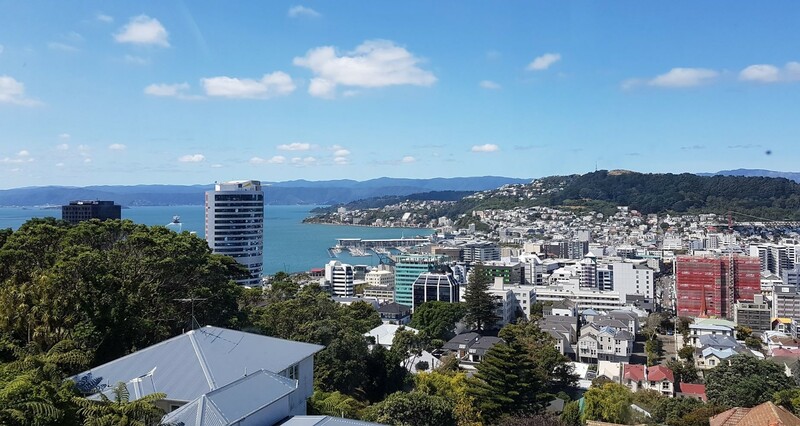 I am writing this from my room in the currently cold and rainy city of Wellington, where I have been the past few months on exchange at Victoria University of Wellington. I have been here for a bit now and this place is yet to get old, I am loving every single second of it. 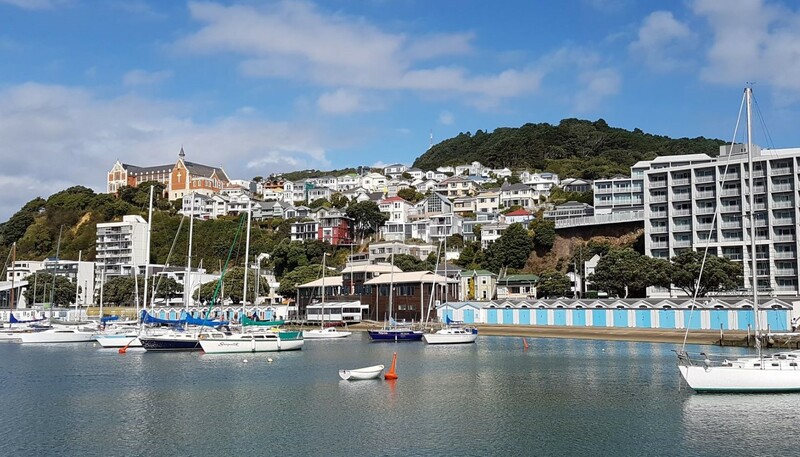 There is only so much I could say to adequately describe how colourful, friendly and drop-dead gorgeous this city is – their famous saying is ‘you can’t beat Welly on a good day’, and I wholeheartedly agree! – so I’ll let the pictures do the talking! 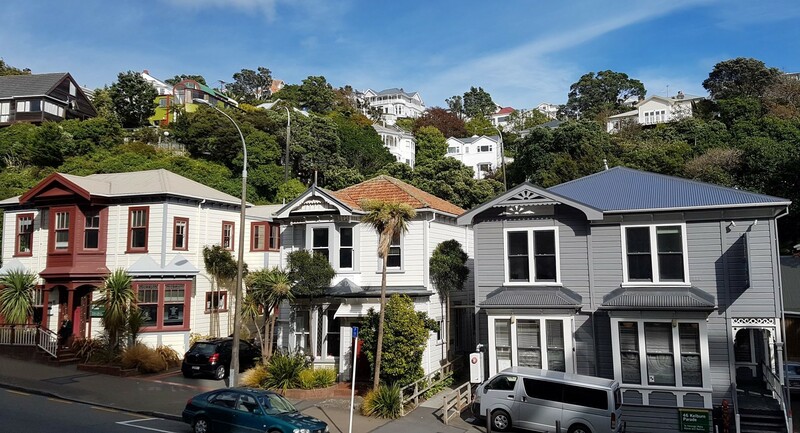 Wellington (and New Zealand in general) is very hilly. While it may be a little tiring at times, it makes for the best viewpoints. 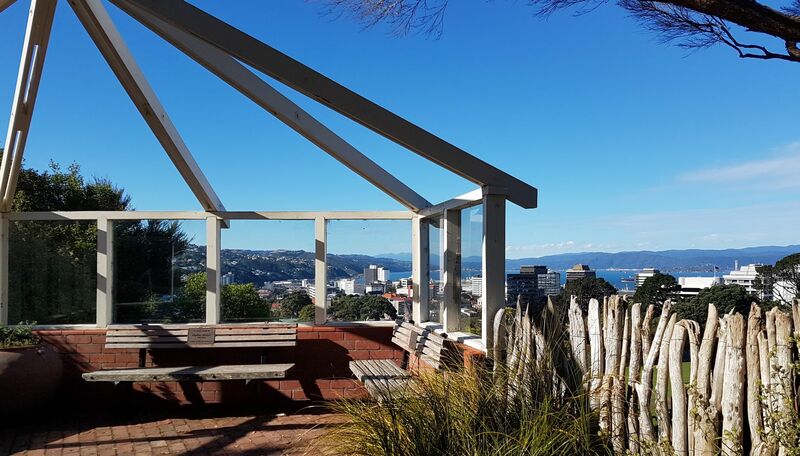 The Kelburn Campus of the University lies at the top of a hill overlooking the city and has some of the best views around – these particular shots are from the library! Last week I fulfilled my ambassadorial duties in representing Surrey at the Exchange Fair held by Victoria International. 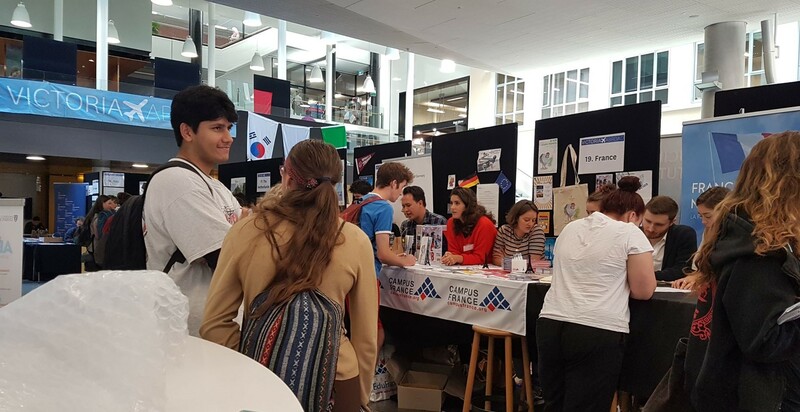 It was a busy day of several hundred students coming to check out all the universities on offer to them for exchange, and I was on hand to help them navigate the weird and wonderful land of Guildford, Surrey. 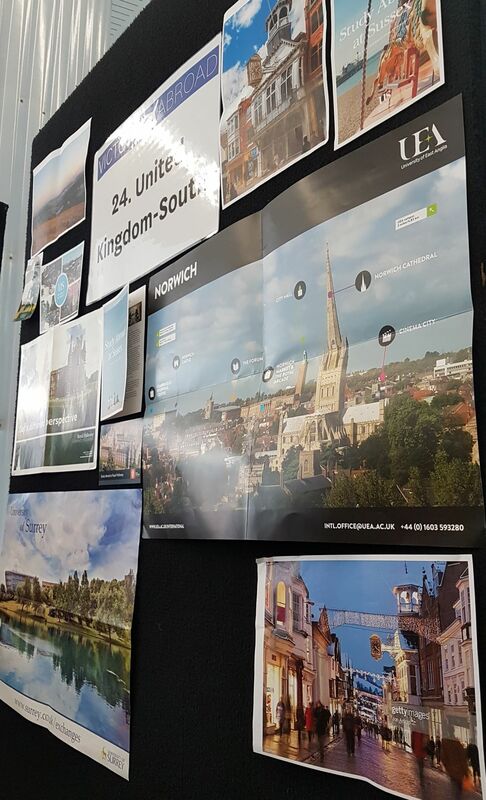 The Victoria students have so many options available to them should they wish to go abroad and the good news is, so does Surrey! 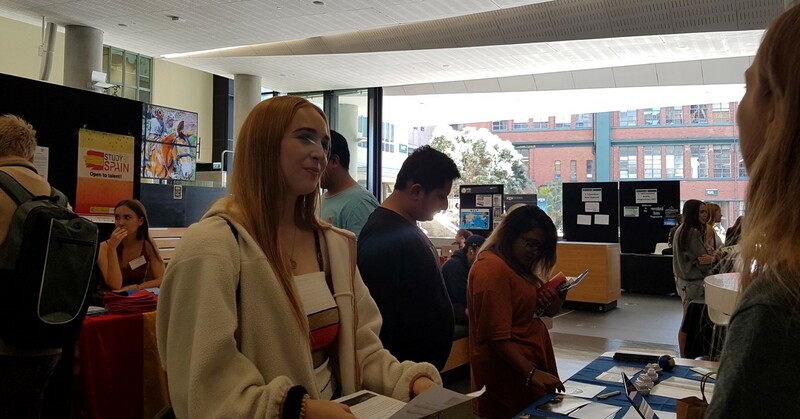 Depending on your course and your year of study, there are a wide range of options available to go abroad, whether it if for work or study during your placement year, or for a semester or a year of study during your course. If you are planning on coming to Surrey and thinking about doing an exchange, my advice is do it! Not only do you get to explore and live in a new place (who doesn’t like to travel?! 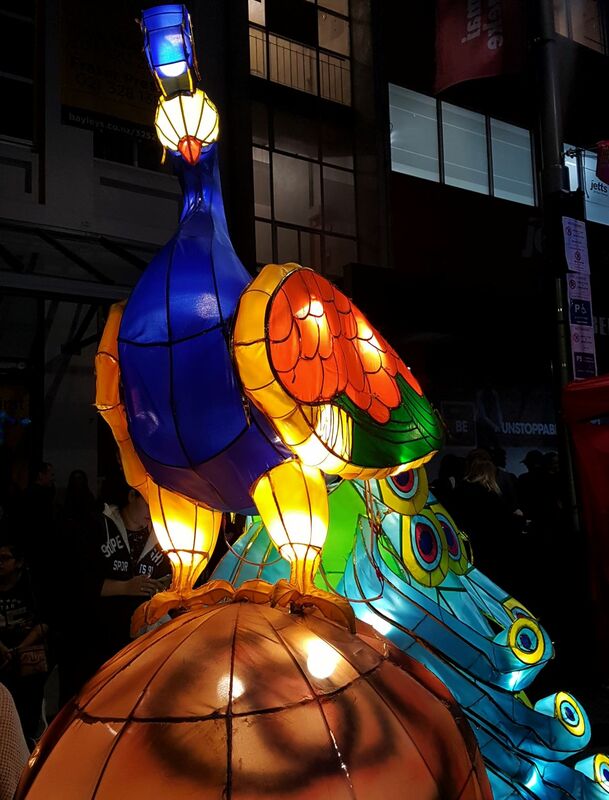 ), but you get to learn in an entirely new educational system, and explore different parts to your course material than that you will learn in Surrey, ultimately broadening your knowledge of your degree! 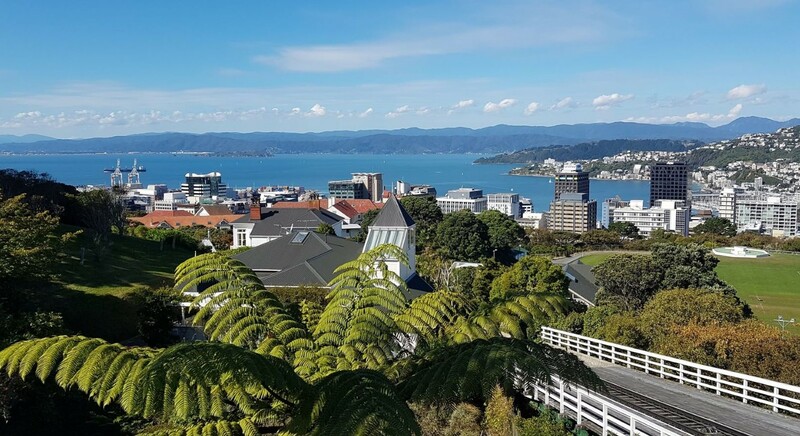 I can not recommend going abroad enough, and I would also highly recommend coming to New Zealand (this may be a slightly biased opinion). As for now, I must leave. 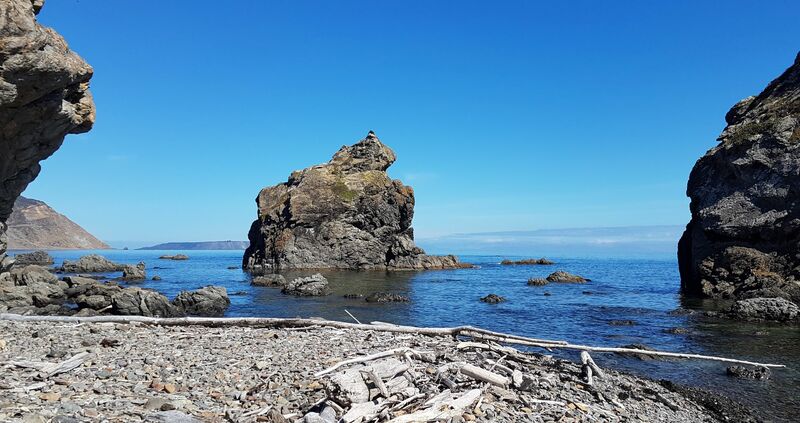 I am busy finishing up a couple of essays I have due this coming week, and simultaneously finalising travel plans for a 2-week road trip around the South Island that I am doing with some friends (this is guaranteed to be an amazing experience, I can not put into words how excited I am!). 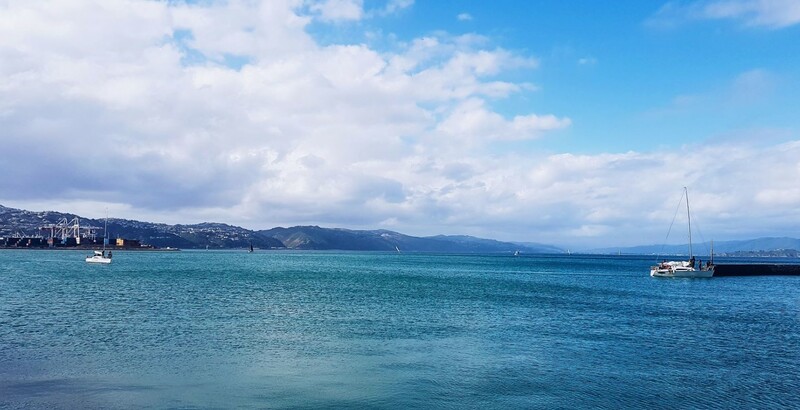 But hey, keep an eye peeled, I might be back soon with pictures of me bungee-jumping off a cliff in Queenstown, or swimming with dolphins in Kaikoura … stay tuned!